- A creature in which its upper body is of a human and it's lower body is of a horse. 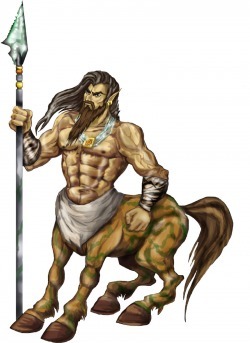 - One centaur named Chiron was said to be the wisest of all the centaurs and was like a saint. He was one of the exceptions in behavior. 1. "Centaurs." monstrous.com. 24 May 2008 <http://monsters.monstrous.com/centaurs.htm>.